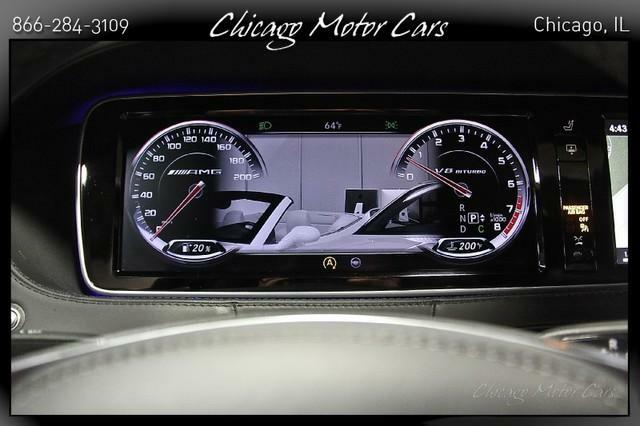 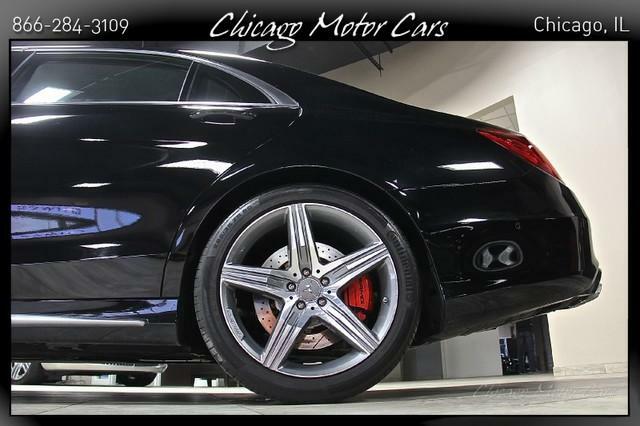 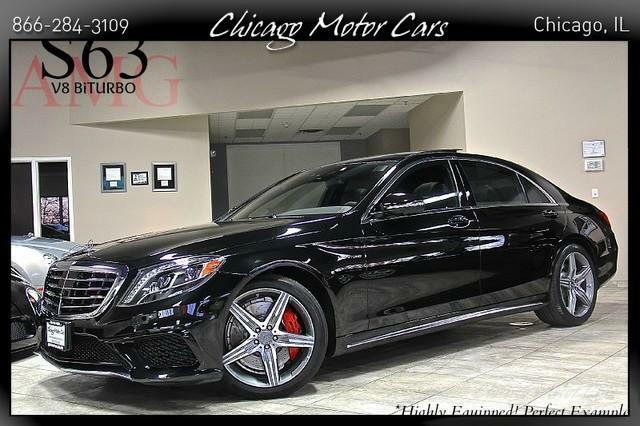 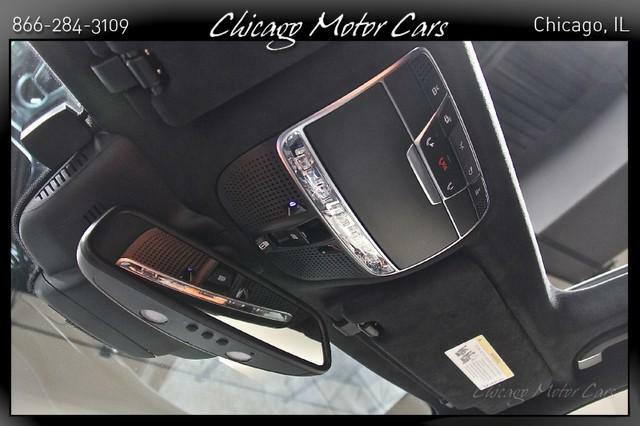 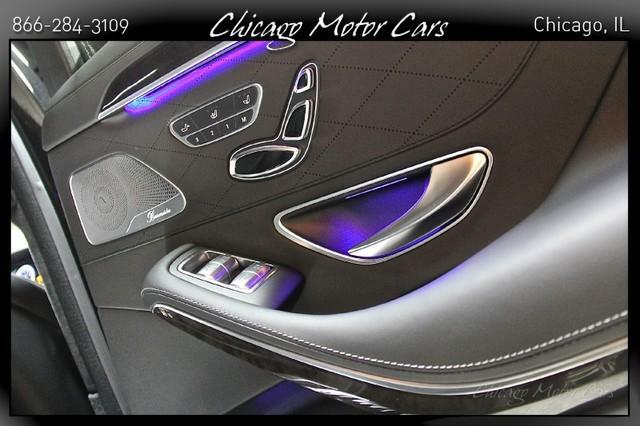 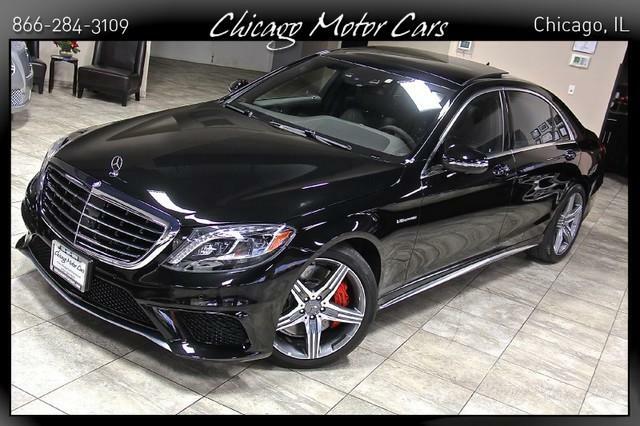 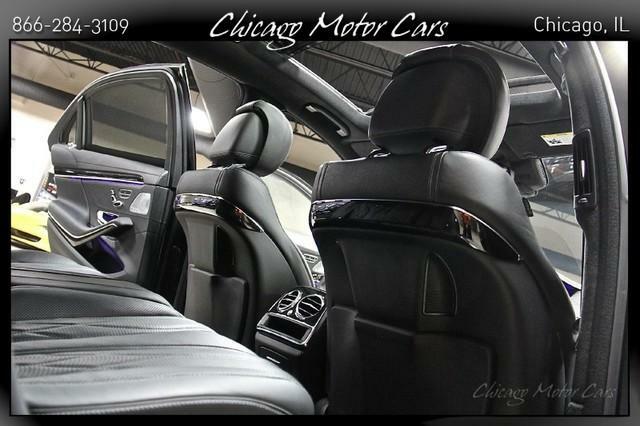 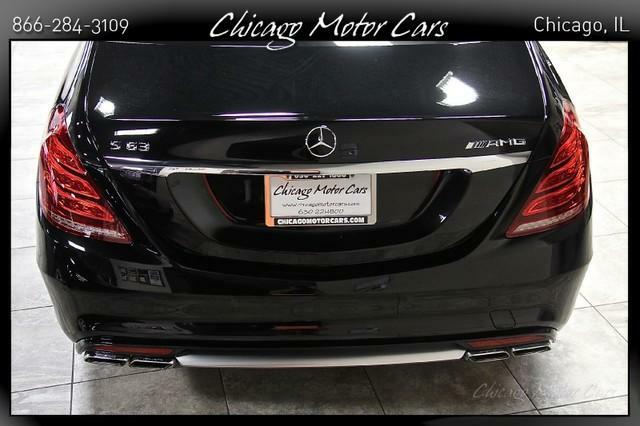 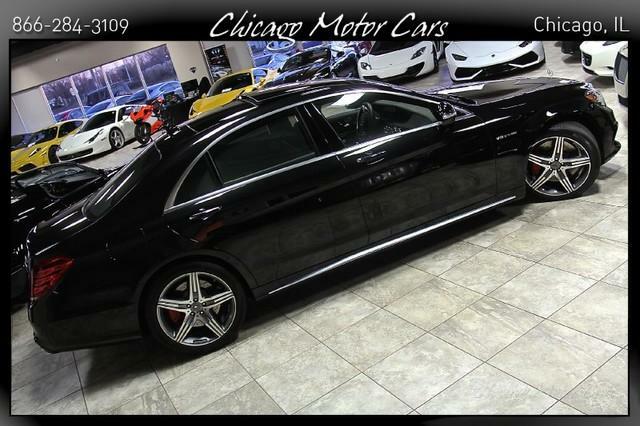 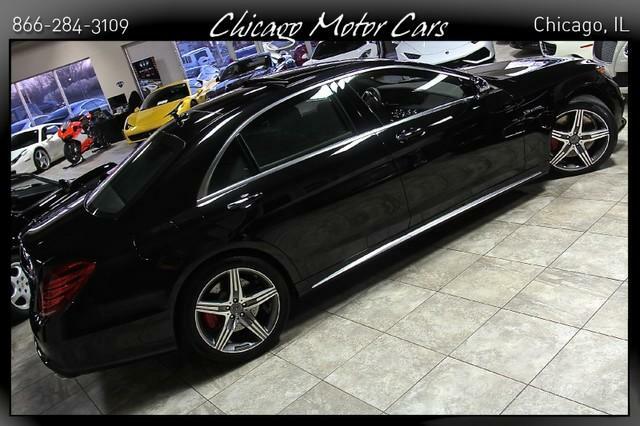 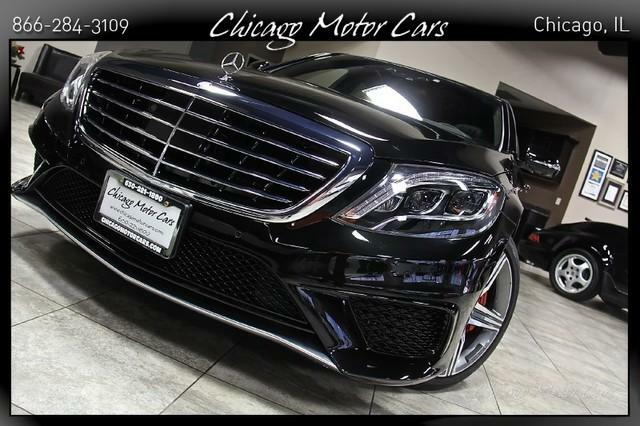 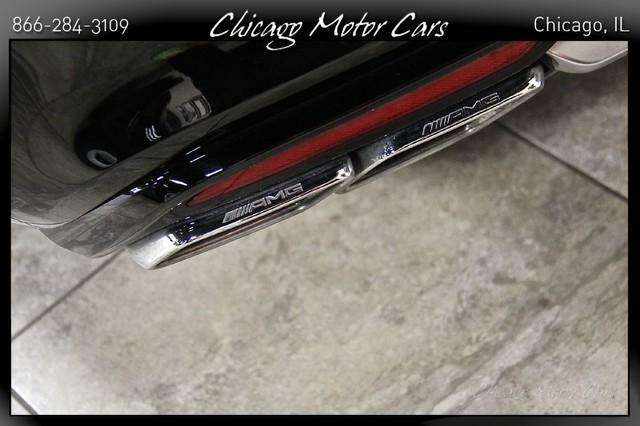 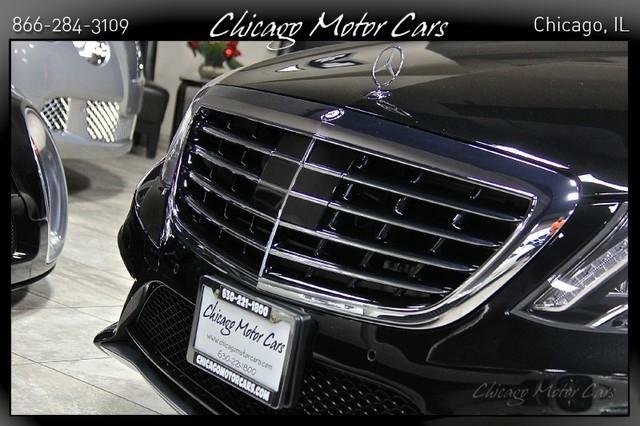 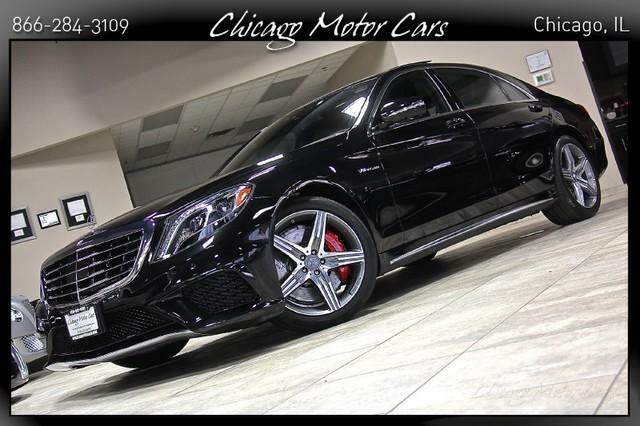 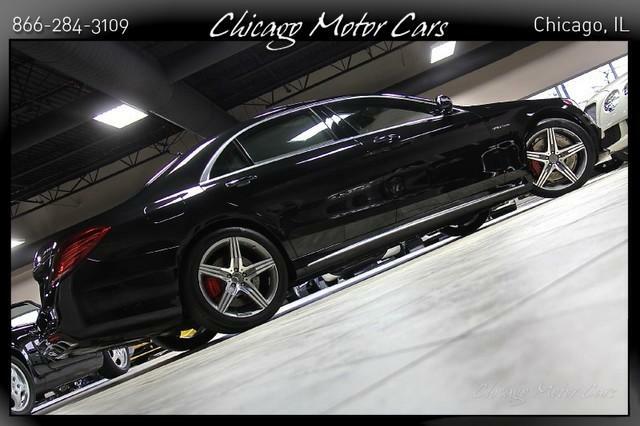 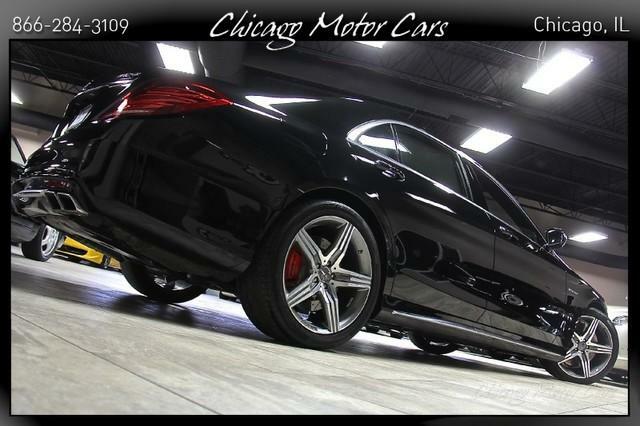 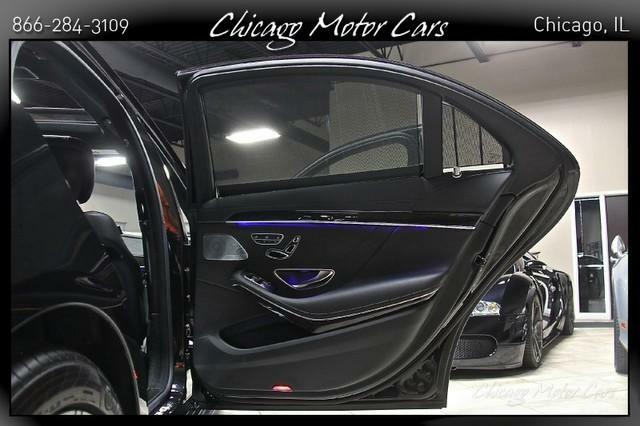 2015 Mercedes Benz S63 AMG Obsidian Black Exterior over Black AMG Premium Leather DRIVERS ASSISTANCE! 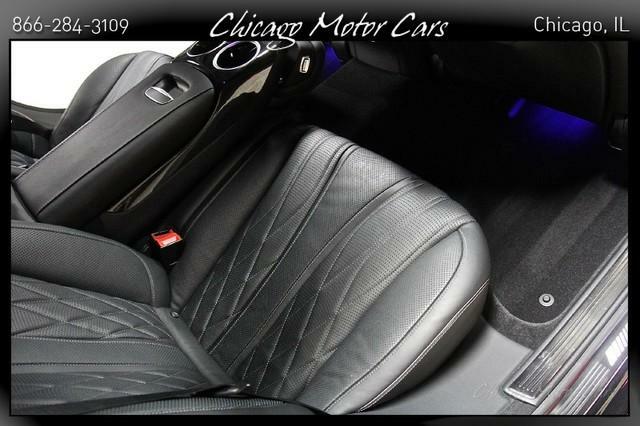 WARMTH & COMFORT PACKAGE! 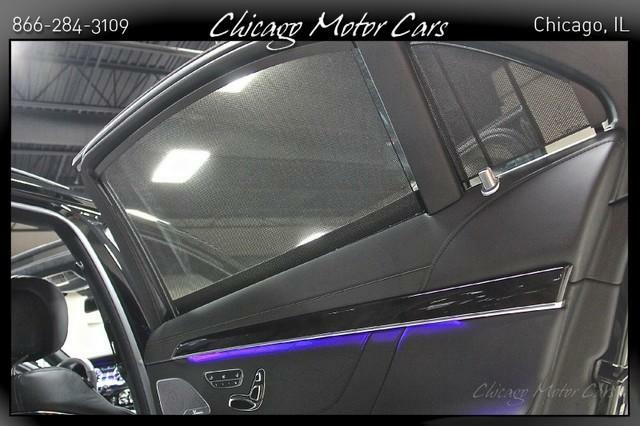 ORIGINAL WINDOW STICKER LIST: $157,885.00+ UPGRADES! 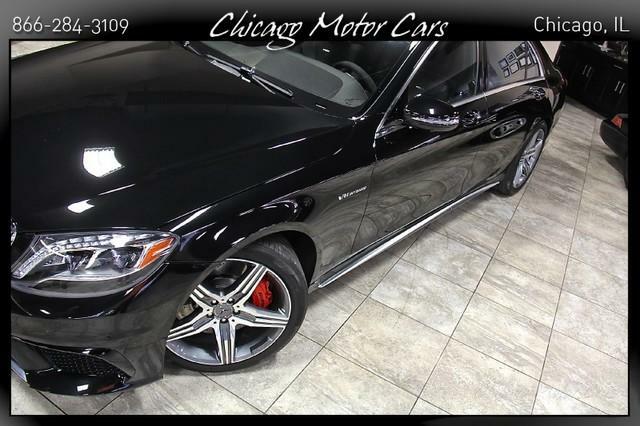 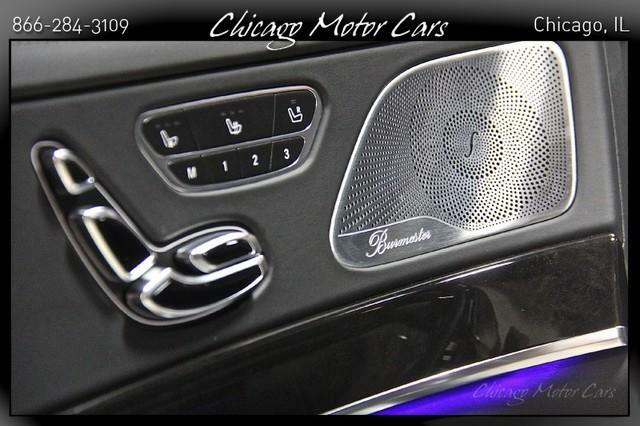 FACTORY OPTIONS Exclusive Nappa Leather ($4,450) AMG Red Calipers ($700) Comfort Box ($350) AMG Steering Wheel w. Dinamica Grips ($500) Warmth & Comfort Package ($2,600) Front & Rear Heated Armrest Rear Heated Seats Heated Steering Wheel Ventilated Rear Seats Rear Memory Seats Rear Power Seats Surround View Camera ($900) Night View Assist Plus ($2,260) Exclusive Trim Package ($950) Drivers Assistance Package ($2,800) Pre-Safe Brake Pre-Safe PLUS CMS Lane BAS PLUS Distronic Plus Active Lane Keeping Assist Active Blindspot K40 Radar ($2,000) VEHICLE HIGHLIGHTS: 5.5 Liter Hand-Built AMG Turbocharged V8 Engine -577 Horsepower- -664 lb/ft of Torque- 7 Speed AMG SpeedShift MCT Automatic Transmission 20 AMG 5-Spoke Alloy Wheels 4-Corner Active Load-Leveling Suspension ESP Stability and Traction Control PARKTRONIC Front and Rear Park Distance Contol with Backup Camera Adaptive Bi-Xenon Headlamps KEYLESS GO Entry and Ignition System Power Trunk Closer INTERIOR: AMG Sport Power Tilt-and-Telescoping Steering Wheel Dual Power MultiContour Front Seats with Massage Function Dual-Zone Automatic Climate Control MB COMAND System with Factory Navigation Premium Surround Sound Audio System Factory iPod/MP3 Interface 6 Disc In-Dash CD Changer Satellite Radio Bluetooth Telephone Connectivity VEHICLE HISTORY: Rare S63 AMG Turbocharged Model w/K4O Radar! 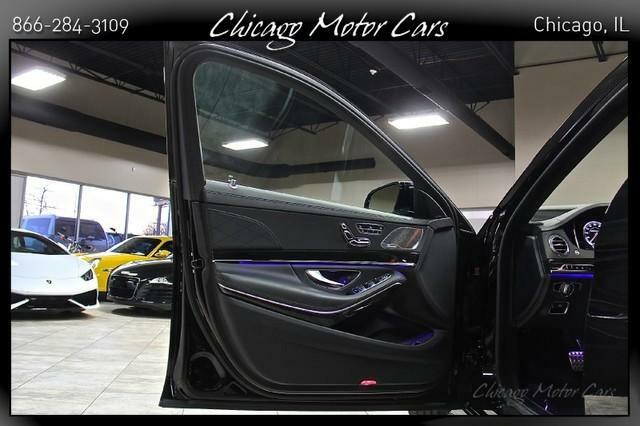 Exceptionally Clean Inside and Out! 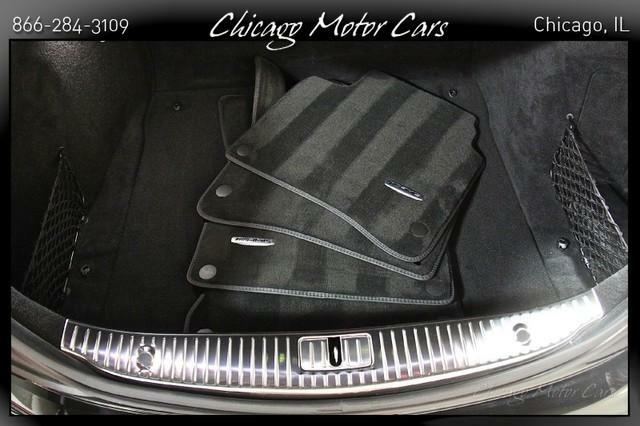 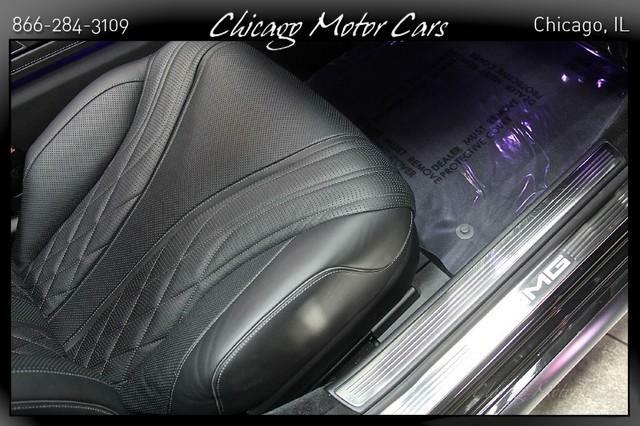 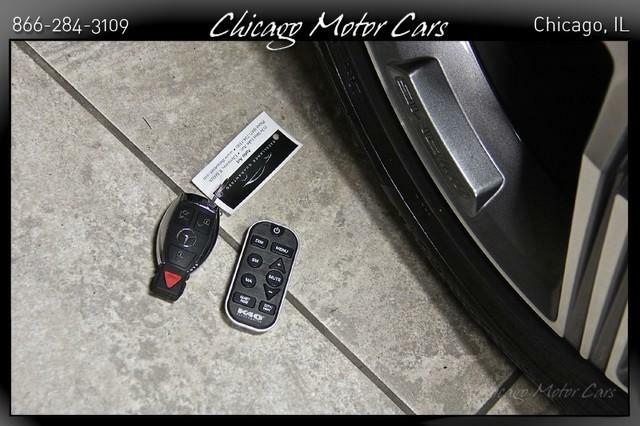 INCLUDES Two Master Keys Owners Manuals Floor Mats FOLLOW US ONLINE! 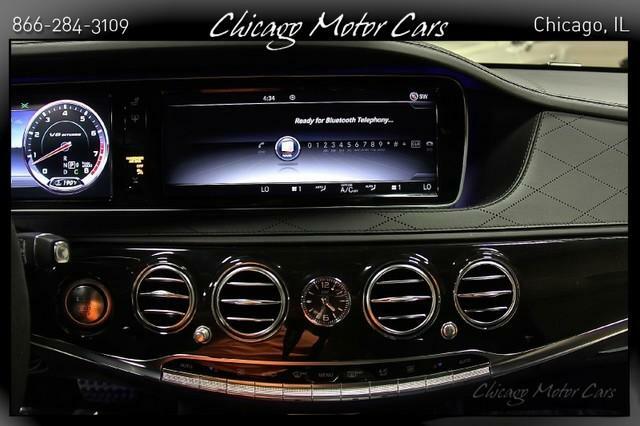 Follow us on Facebook Follow us on YouTube Follow us on Instagram Follow us on Twitter ********************************************************** We Can Assist You In Shipping Your Vehicle Around The Globe!! 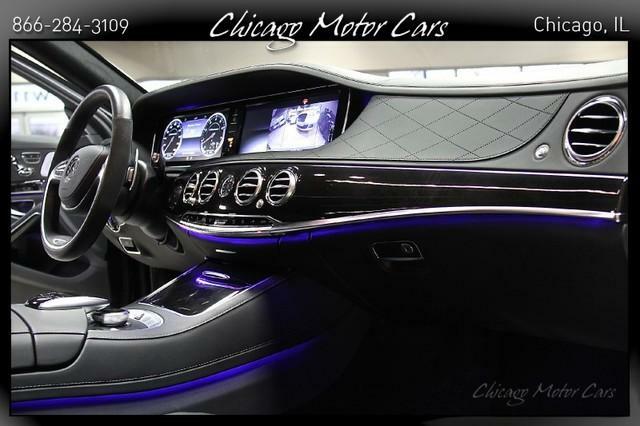 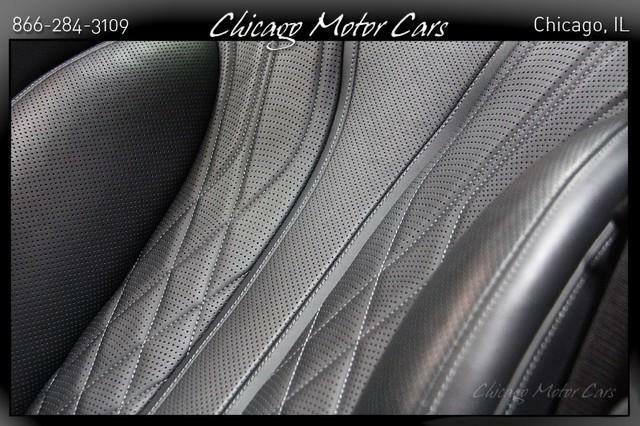 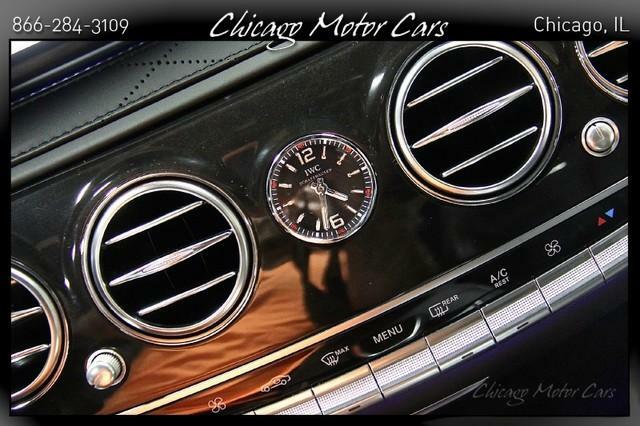 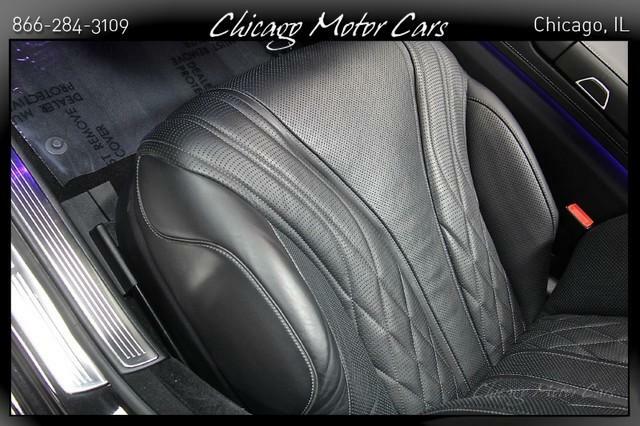 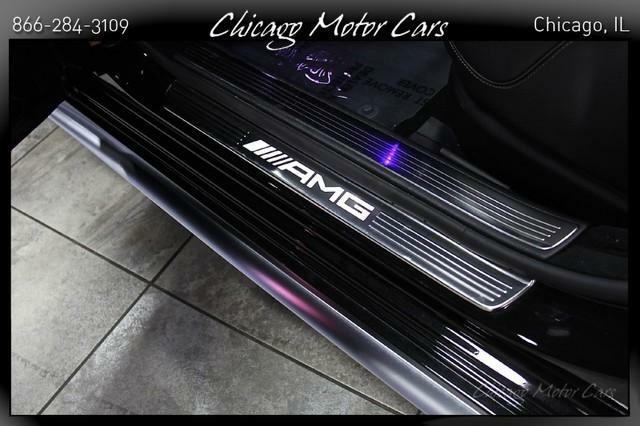 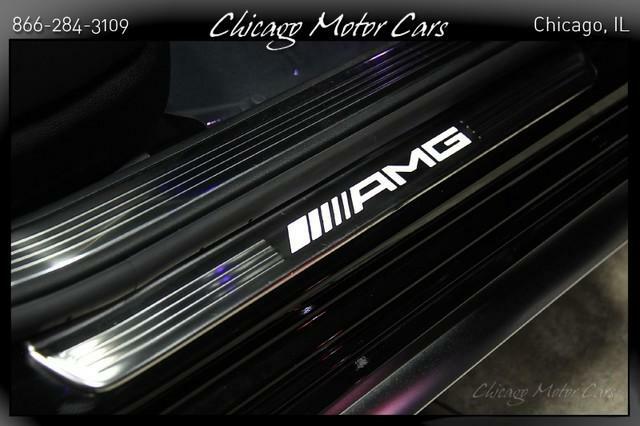 CALL US TOLL FREE AT 1-866-284-3109 **FOR INTERNATIONAL CALLS USE** 1-630-221-1800 **FREE AIRPORT PICKUPS** **2004-2013 EBAY MOTORS TOP SELLER AWARD** 100% CHICAGOMOTORCARS.COM QUALITY GUARANTEE!! 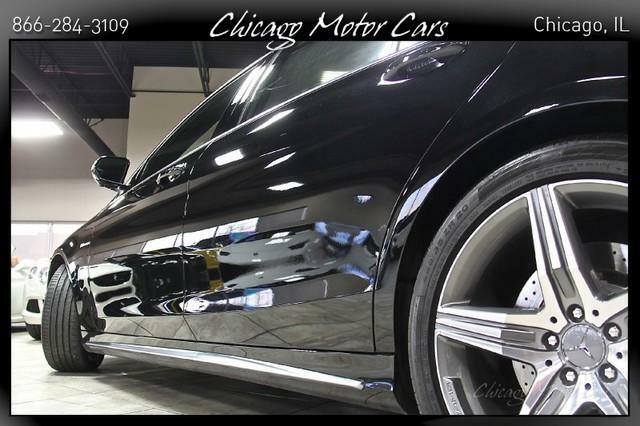 100% CUSTOMER SATISFACTION!! 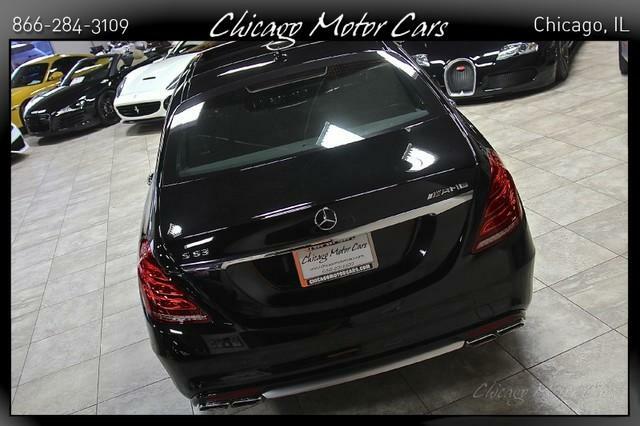 100% NO EXCUSES!! 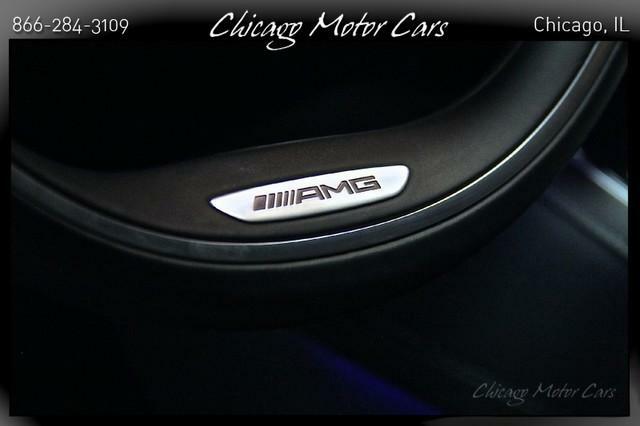 100% NO STORIES!! 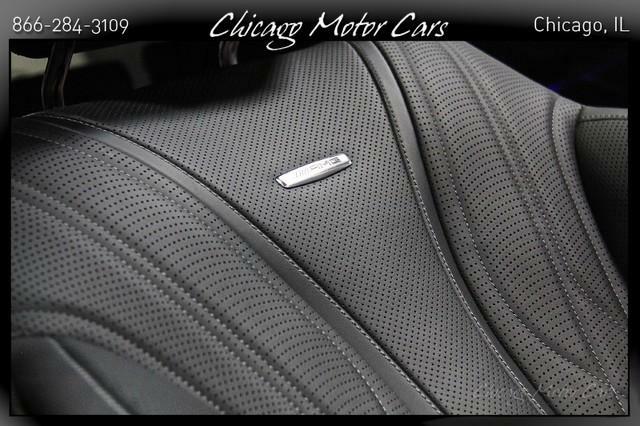 100% HASSLE FREE!! 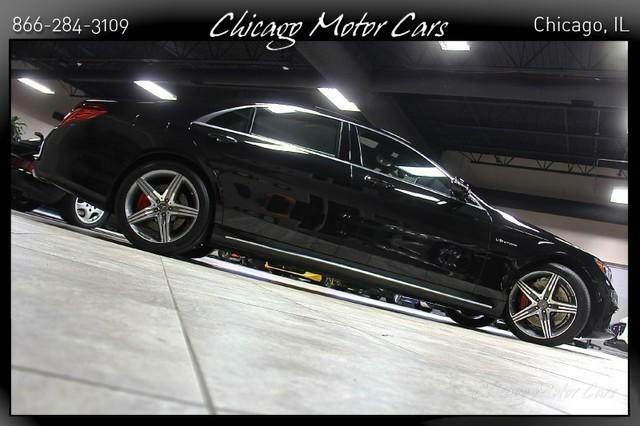 JUST ONE LOW PRICE FOR AN OUTSTANDING CAR!! 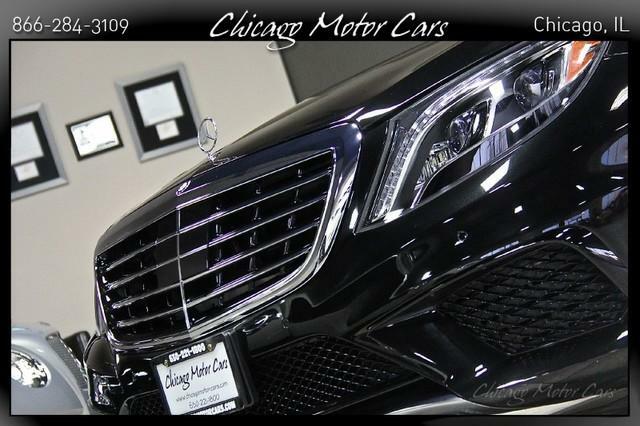 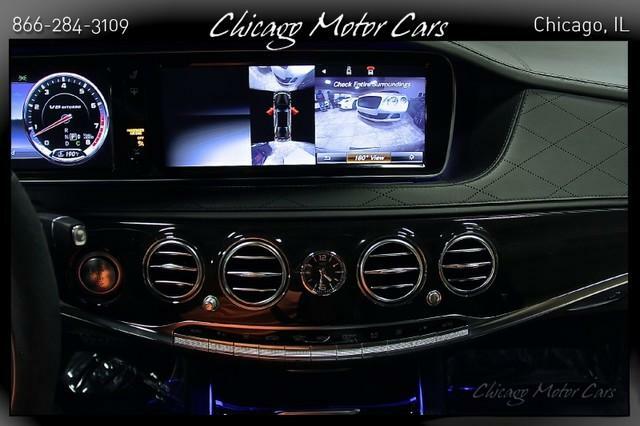 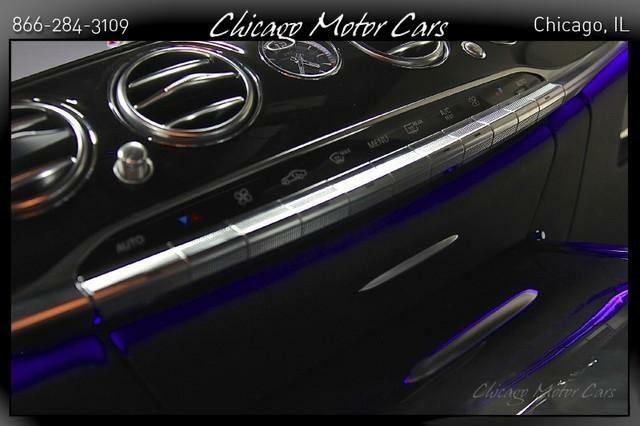 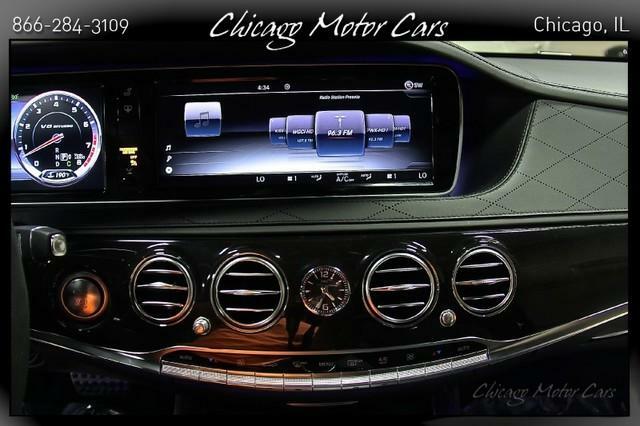 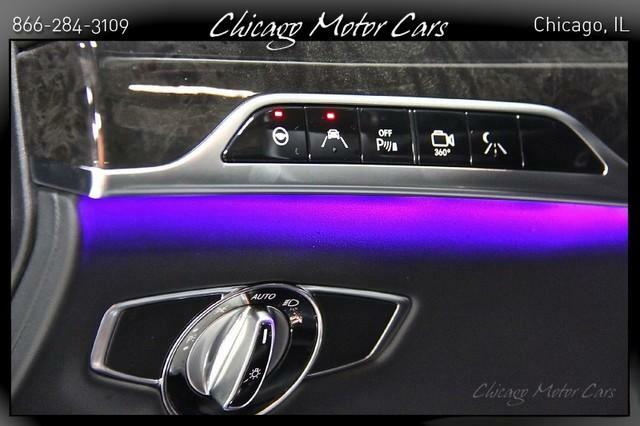 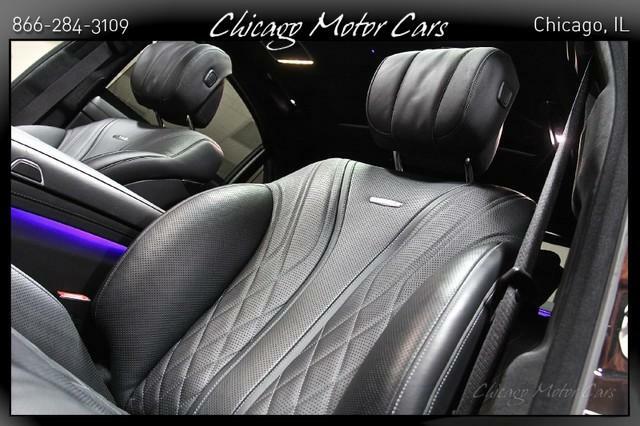 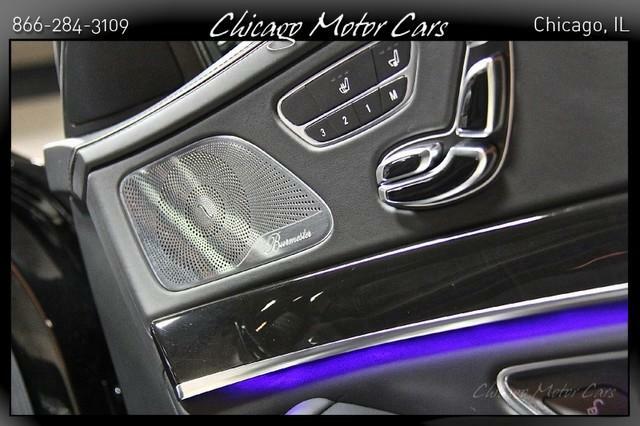 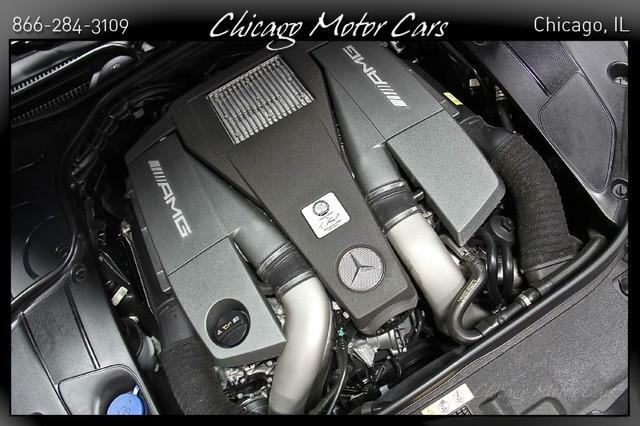 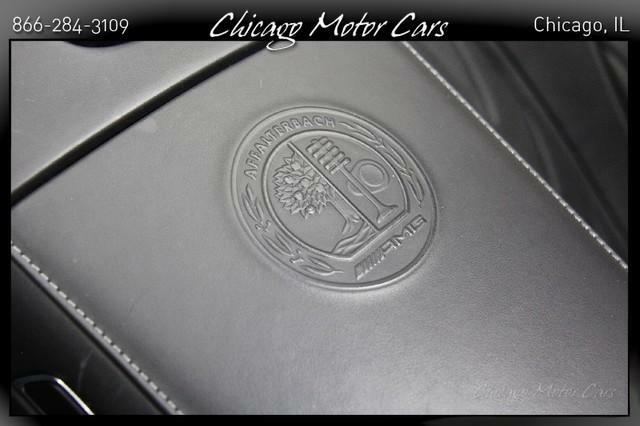 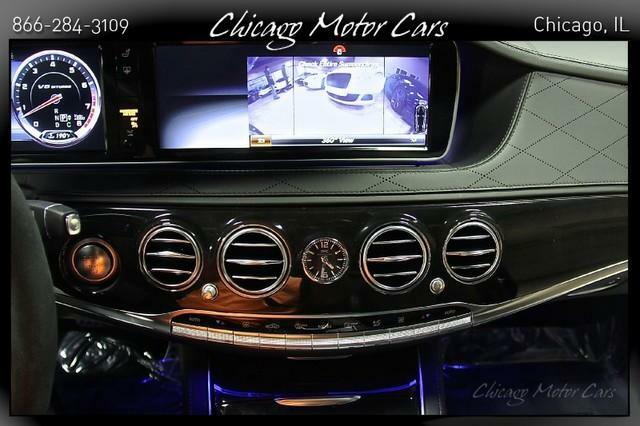 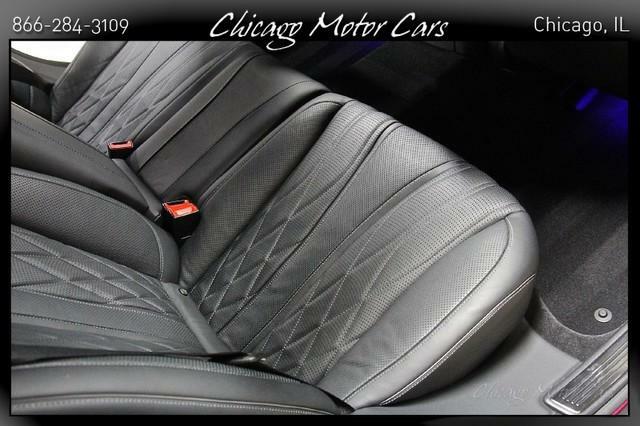 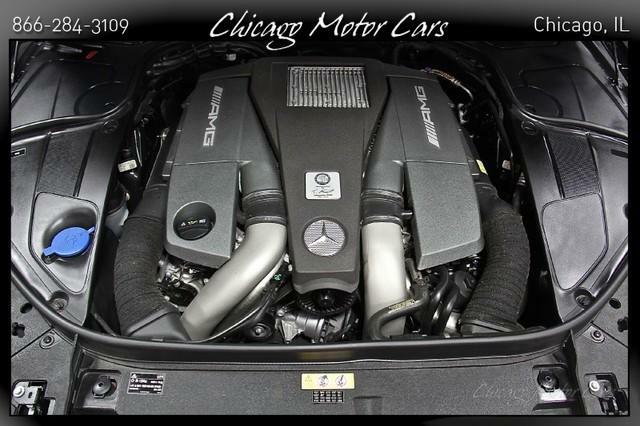 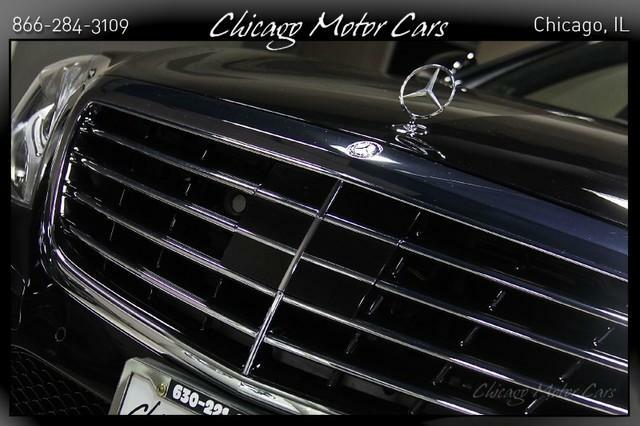 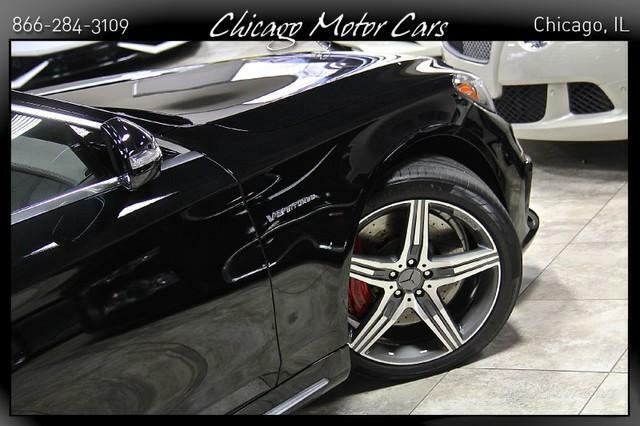 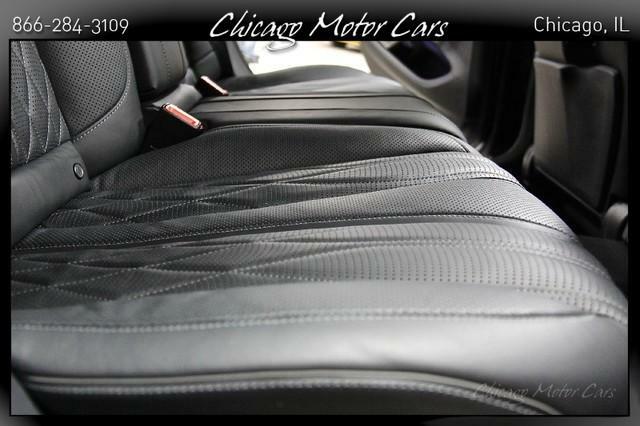 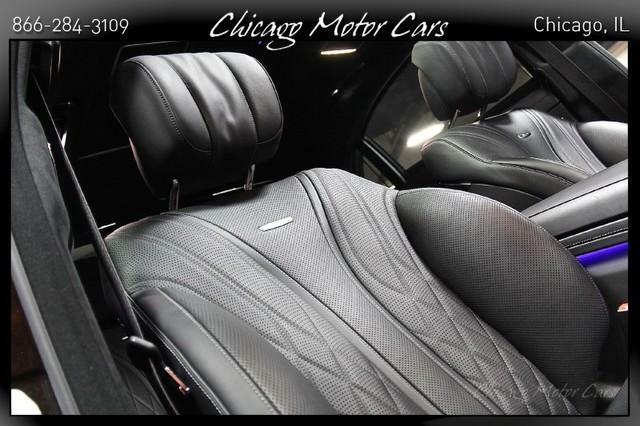 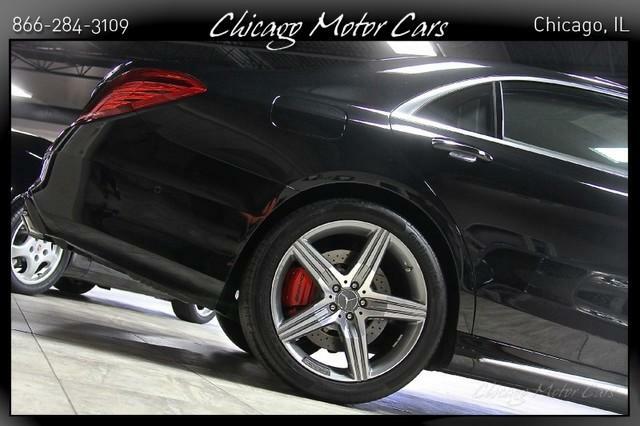 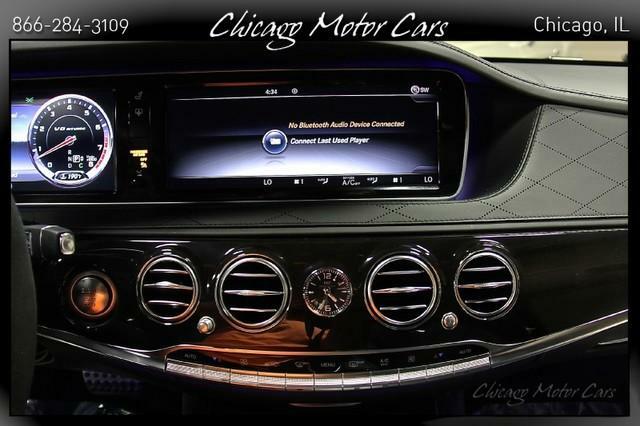 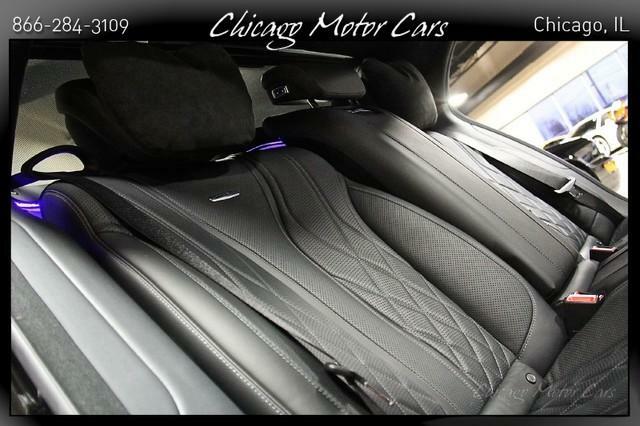 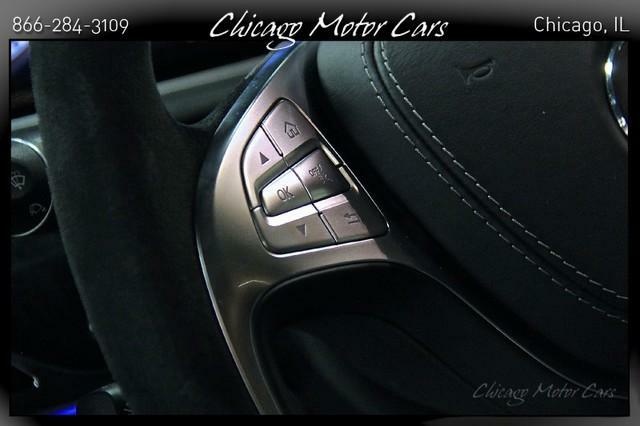 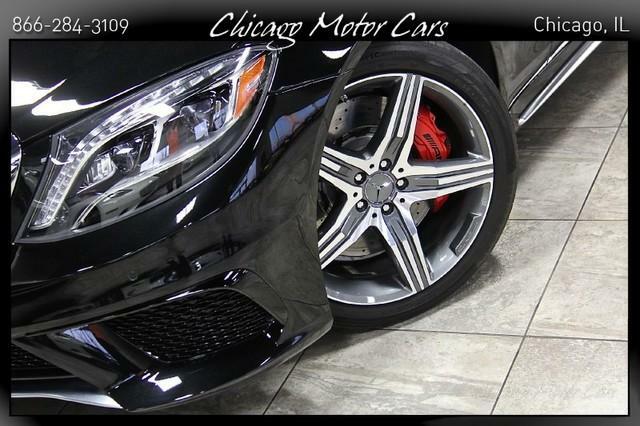 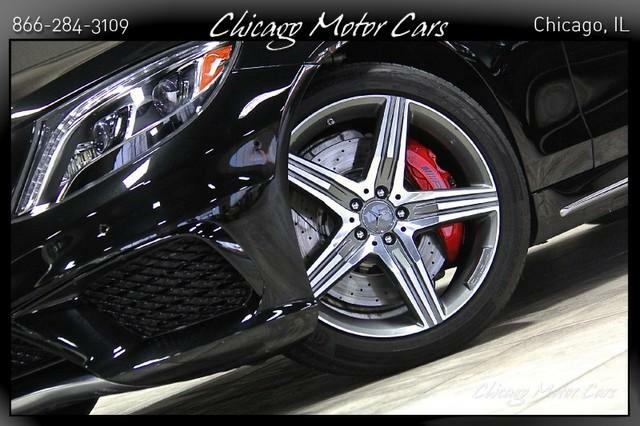 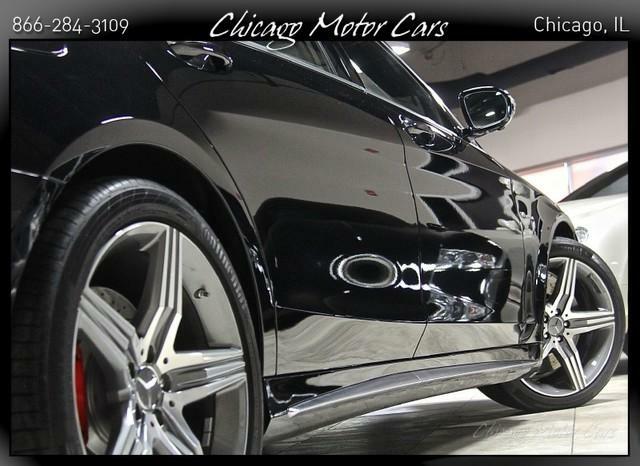 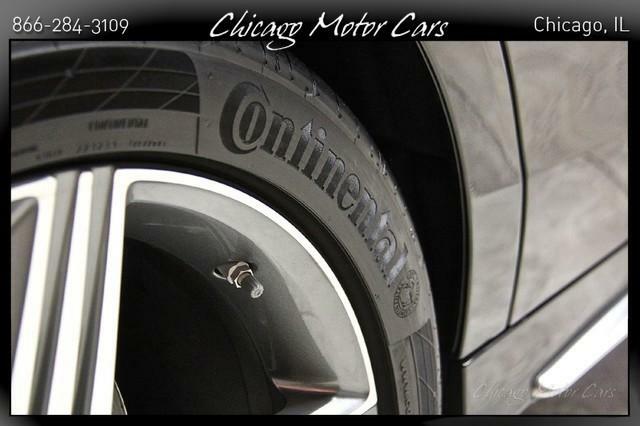 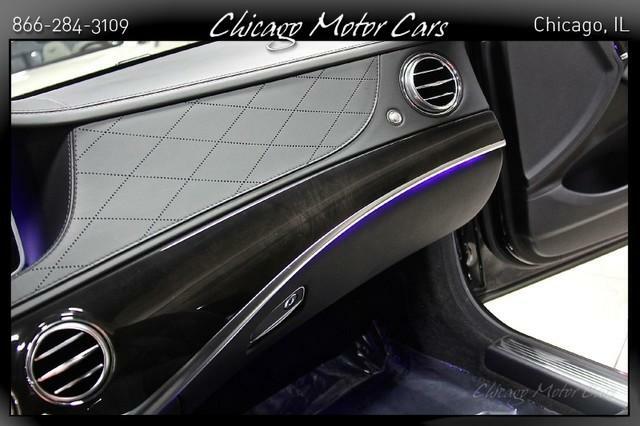 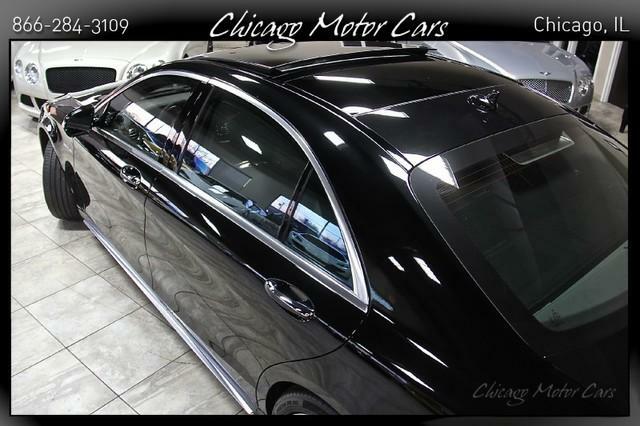 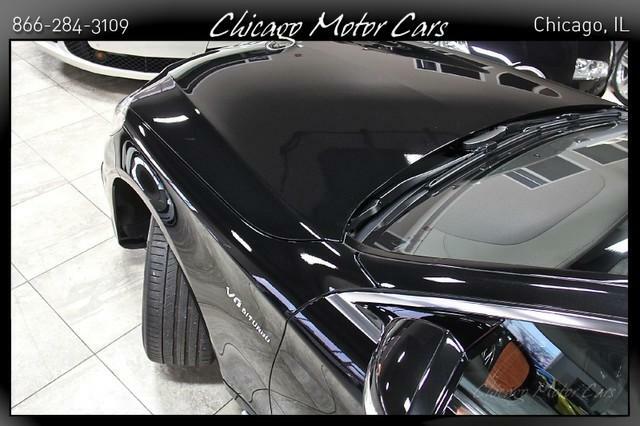 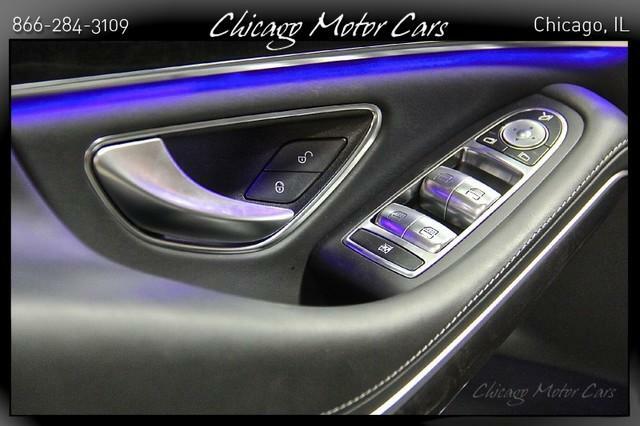 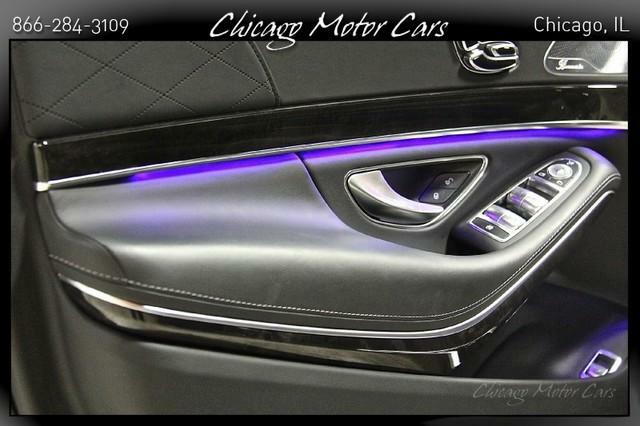 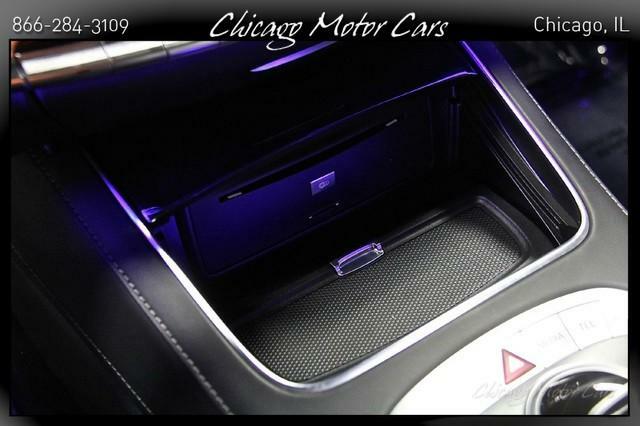 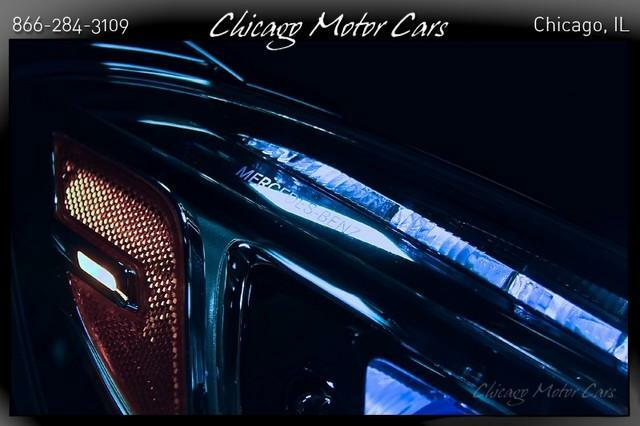 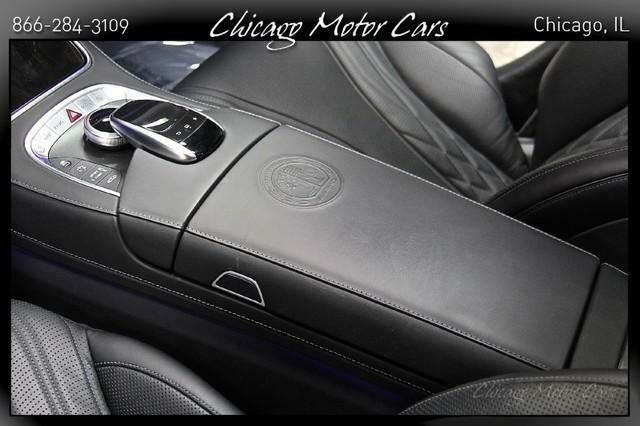 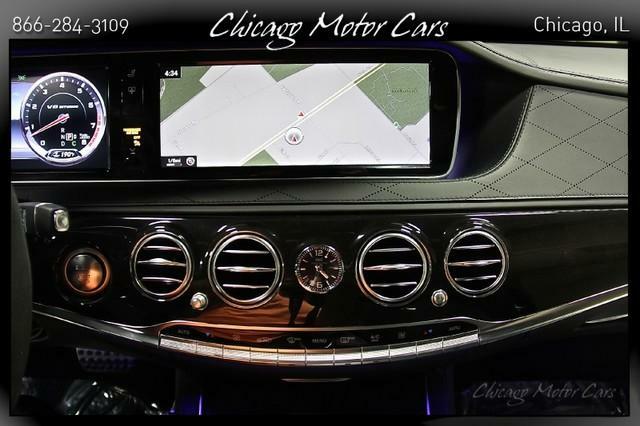 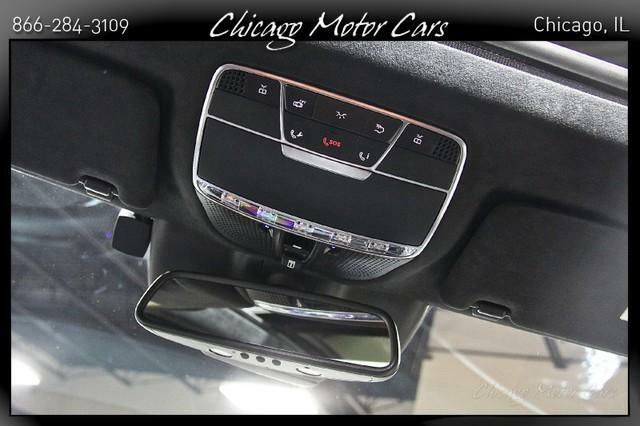 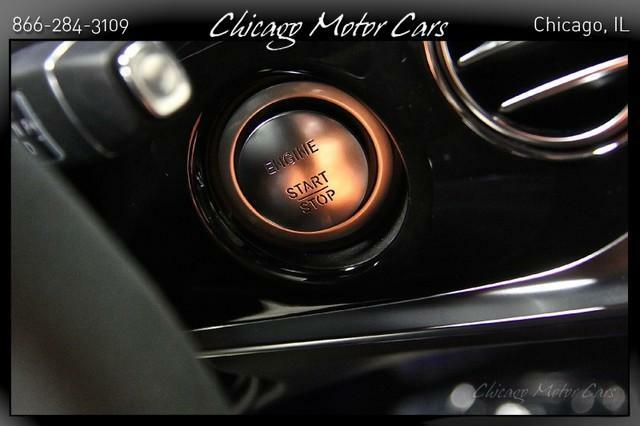 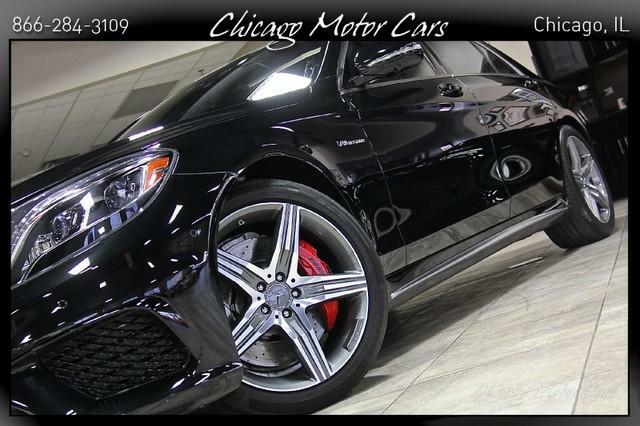 Here at Chicago Motor Cars, we make every effort to ensure that our vehicle will exceed the expectation of the most demanding buyers. 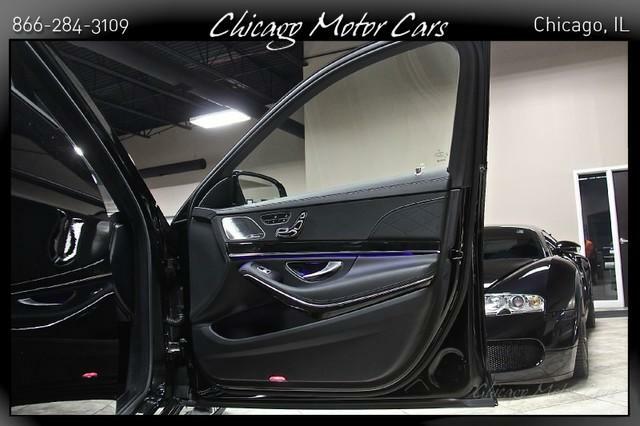 Each vehicle is hand-selected by our expert purchasing staff, then handed over to our reconditioning team to bring the car as close to new as is humanly possible. 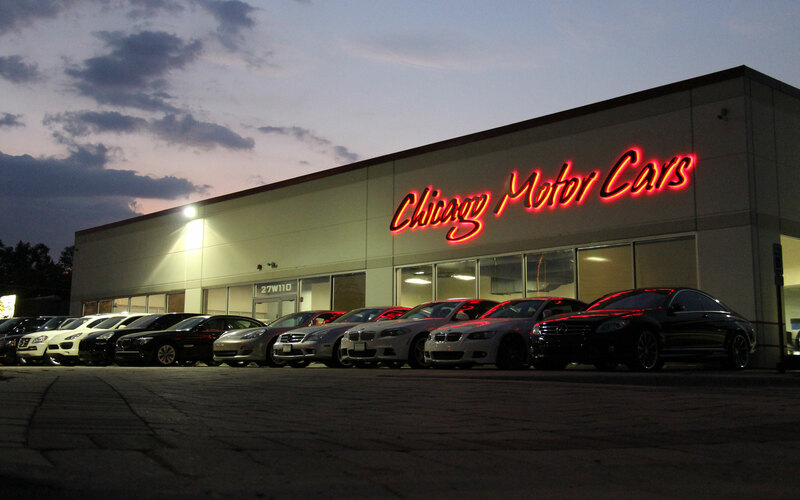 Our goal is to offer the most exceptional pre-owned vehicles in the marketplace at unbeatable prices! 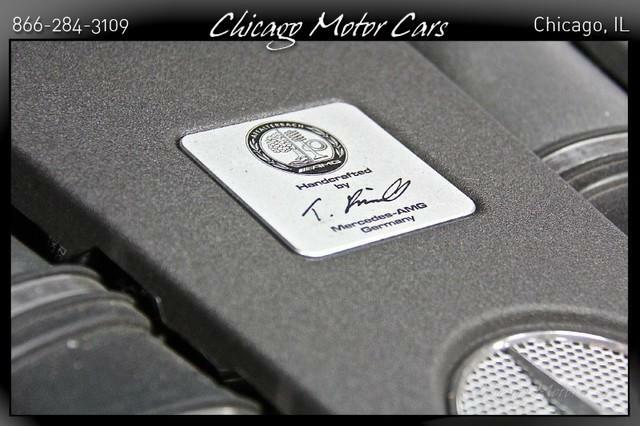 Please remember, every one of our cars has been enjoyed by their original owners, and these are not factory-new cars. 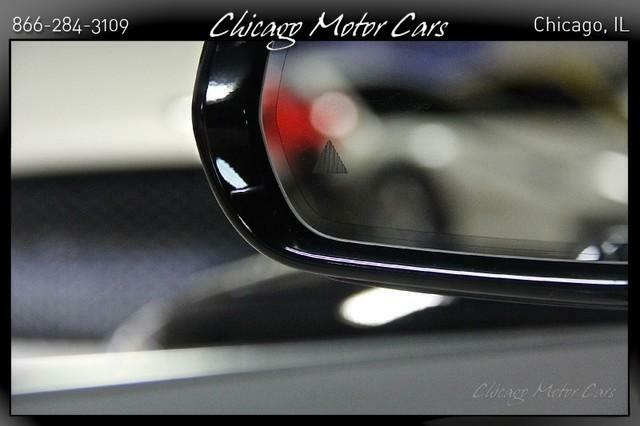 This means they have actually been driven, and regardless of the level of care, every car will exhibit some wear-and-tear. 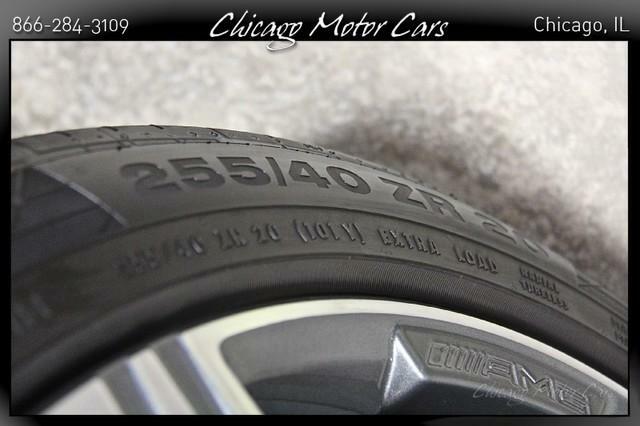 Our vehicles are advertised with the current mileage at the time of listing, so mileage at the time of sale may vary due to test drives, transportation for reconditioning, etc. 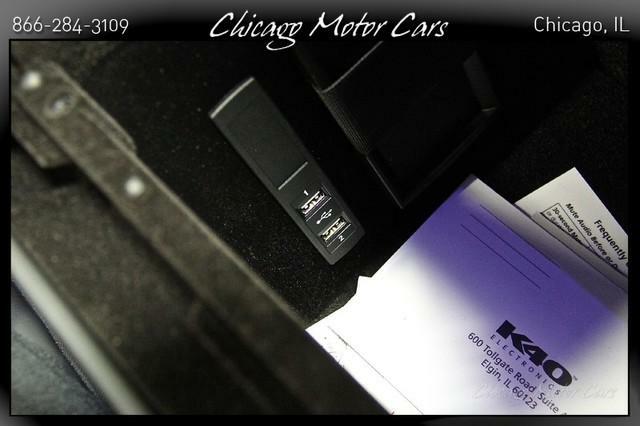 We go above and beyond to be as accurate as possible in our listings and descriptions, but remember, we are still human just like you. 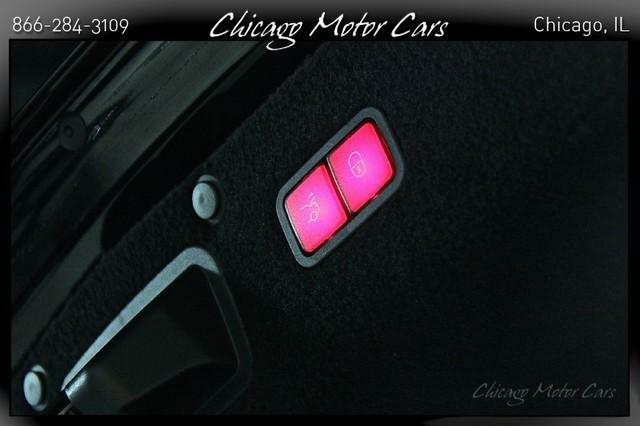 Cars leave the factory with unattached accessories (i.e. 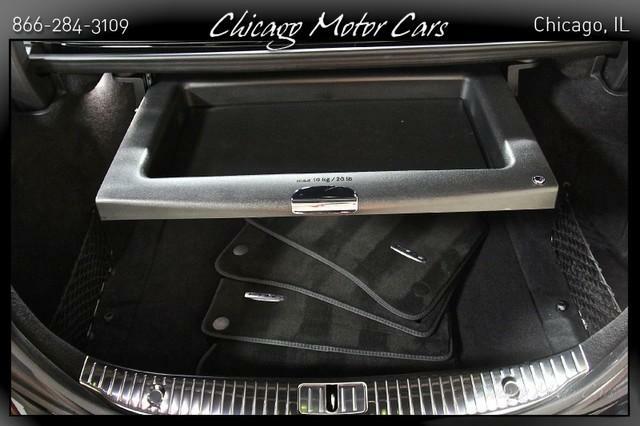 floor mats, extra keys, owners manuals, headsets, remotes, etc), and while it would be ideal to have all original accessories included with every car, this is not always the case. 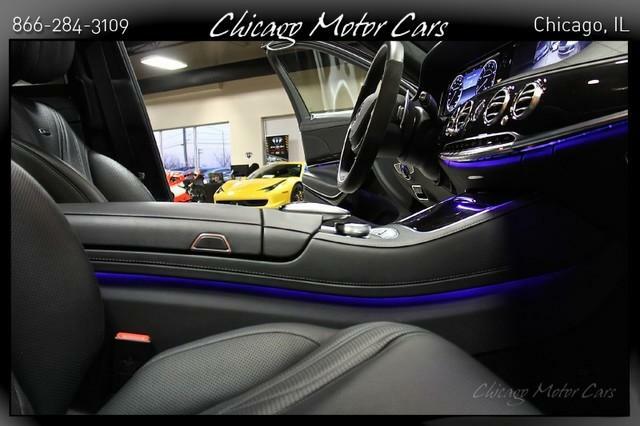 We will note in our listings any accessories that will be included, and provide a picture within the listing of all accessories. 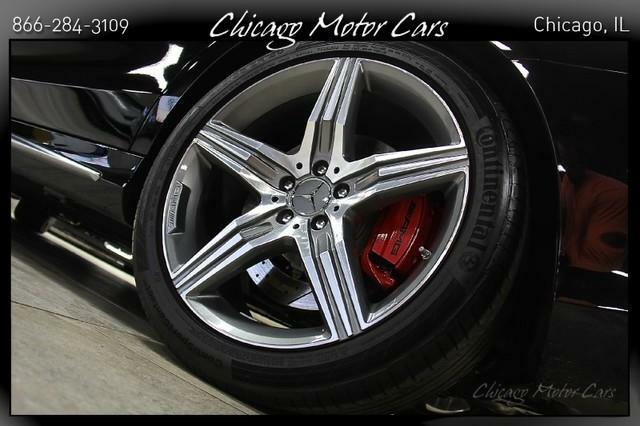 We do all within our power to avoid mistakes or misprints, so if you see any inaccuracy within our listing, we only ask that you bring this to our attention so that we can immediately rectify the information. 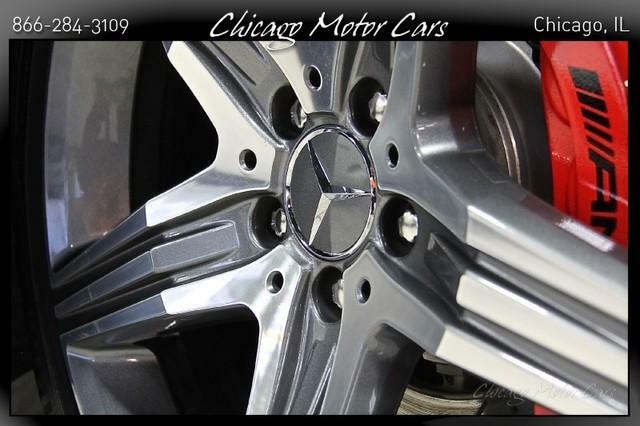 We cannot be held responsible for any purely accidental inaccuracies. 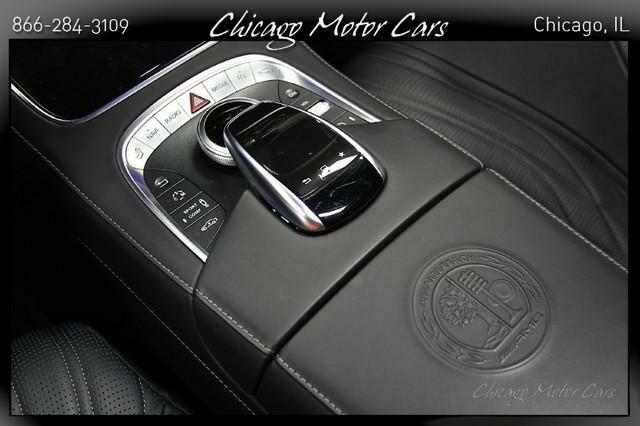 Since our ultimate goal is 100% customer satisfaction, we ask every customer to verify the listed equipment at the time of purchase with their salesperson. 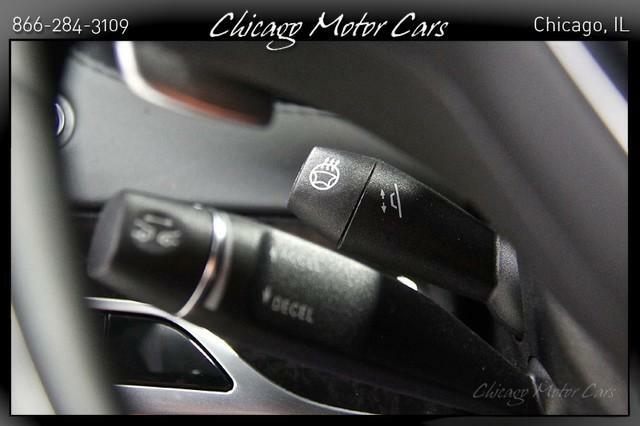 Please do not make any assumptions regarding condition or equipment. 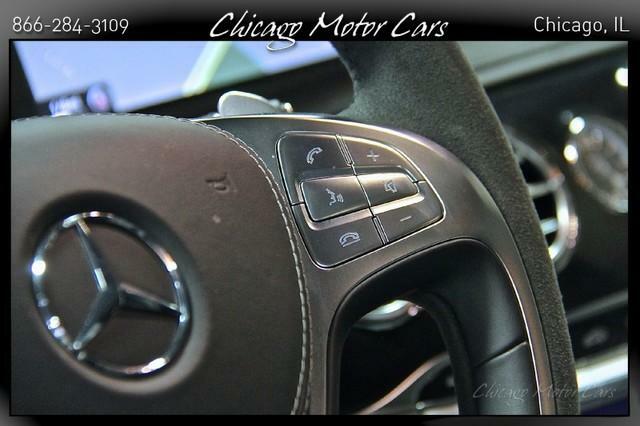 If you have any questions or concerns, call us at (630) 221-1800 and ask to speak with a sales manager to discuss. 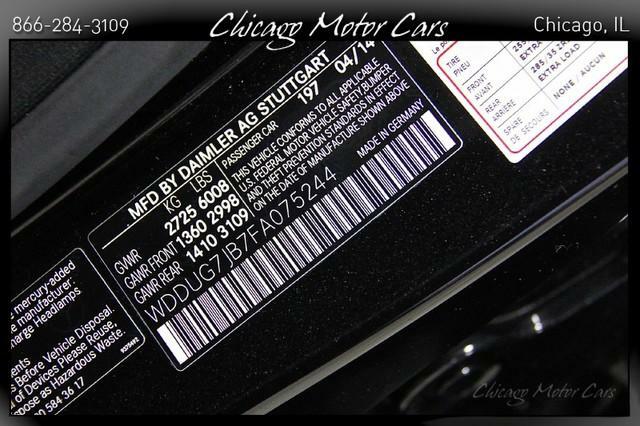 We also ask that that you not misinterpret anything in this disclaimer, as it is intended to be understood exactly as it is written. 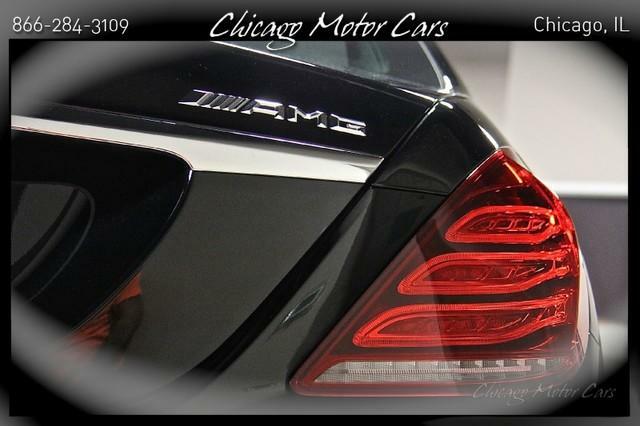 We are here to provide only the very best in quality and customer service!